The city and port of Liverpool are an exceptional testimony to the development of maritime mercantile culture in the 18th and 19th centuries and played an important role in the growth of the British Empire. Liverpool is an outstanding example of a world mercantile port city, which represents the early development of global trading and cultural connections throughout the British Empire. The city was also a major center in generating innovative technologies and methods in dock construction and port management in the 18th and 19th centuries. Six areas in the historic center and docklands of Liverpool bear witness to the development of one of the world’s major trading centers in the 18th and 19th centuries, based on its harbor. The first ocean steamship left from Liverpool in 1840; from that date onwards the town became a fundamental link connecting Europe to America. It also became the major port for the mass movement of people: it was a center for the slave trade until its abolition in 1807, and for emigration from northern Europe to America. Thousands of people from all over Europe gathered here to migrate to the New World. The first thing most people think of when they hear Liverpool is the Beatles and maybe the Liverpool Football Club. The city, however, has a richer history beyond rock and roll and soccer. The city was the port for the importation of cotton from the Americas. The waterfront area harkens back to its Victorian, mercantile origins when it was one of the most important economic centers in Britain. Liverpool – Maritime Mercantile City is a UNESCO World Heritage Site in the UK. It was inscribed into the list in 2004 as a cultural site. In 2012, it was added to the list of UNESCO sites in Danger. This is a collective ensemble of six sites that are culturally and historically linked with Liverpool’s global commercial port industry. This port played a significant role in the development of the wealth of the British Empire. The sites that were recognized into the Liverpool – Maritime Mercantile City listing were from the 18th and 19th centuries. These structures included commercial offices, docks, warehouses, and residential properties near the site. The UNESCO-designated Liverpool – Maritime Mercantile City is comprised of six different locations within the city center of Liverpool. It comprises several key landmarks of the city. All of these six locations represent a different component of the maritime history in Liverpool. The total area combined for all of these six locations is 136 hectares. 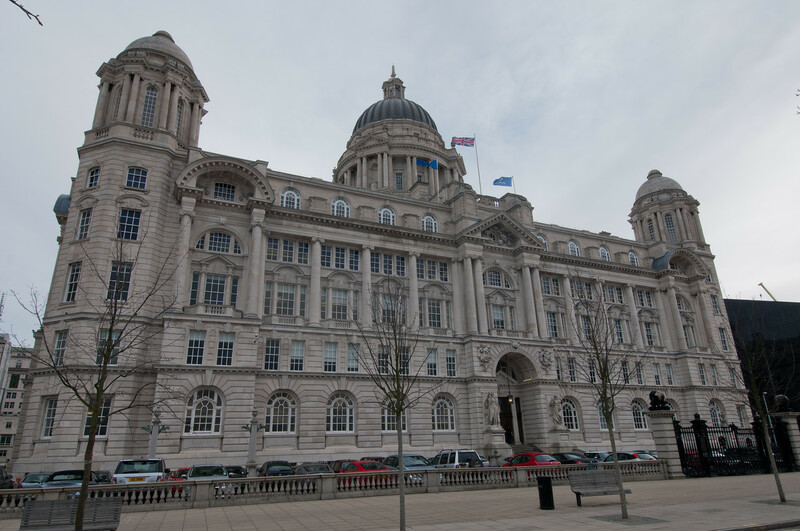 This is the focal point for the UNESCO listing of Liverpool – Maritime Mercantile City. It represents the waterfront area of Liverpool and includes three of the area’s most notable landmarks: The Port of Liverpool Building, The Liver Building, and Cunard Building. 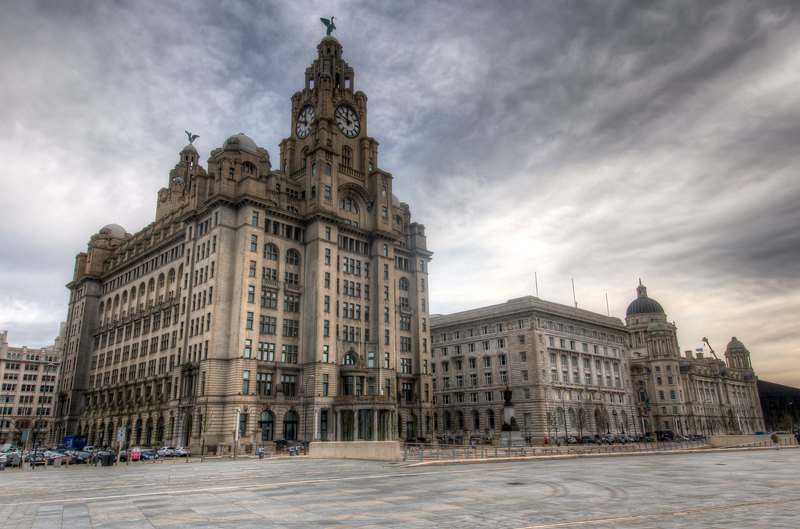 These buildings are collectively known as The Three Graces. They are living proof of the wealth that Liverpool experienced in the late 19th to early 20th century. During this time, Liverpool had one of the most powerful ports in the world and it contributed to the economic success of the city. 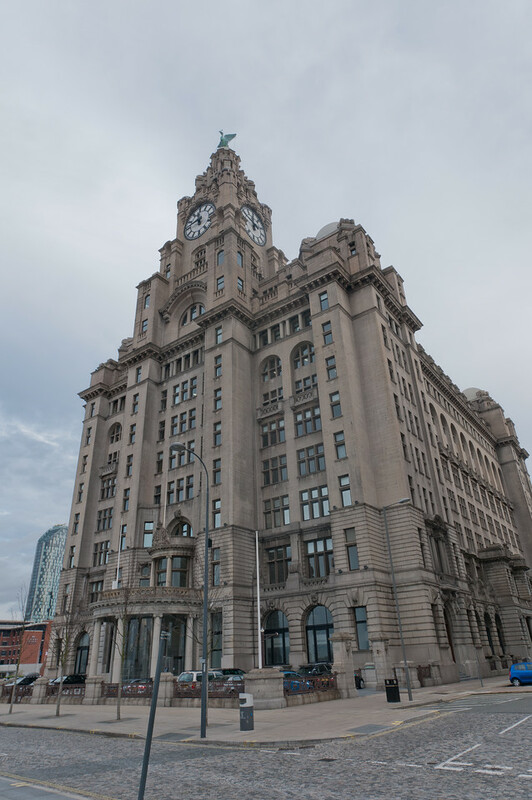 There are several other notable buildings that were included in the protected area for The Pier Head. These are as follows: Cunard War Memorial, Monument of Edward VII, Memorial to the Engine Room Heroes of the Titanic, Sir Alfred Jones Memorial, and George’s Dock Ventilation Tower. This complex consists of dock buildings and warehouses that played a significant role in the growth of wealth in Liverpool – Maritime Mercantile City. It is located south of the Pier Head. The Albert Dock warehouses in Liverpool were designed by Philip Hardwick and Jesse Hartley. These warehouses were recognized as the first of its kind in the world in being fireproof as they are made with brick, stone, and iron and there are no wooden components in it. On top of being fireproof, the Albert Dock warehouses are also built with advanced docking technology such as the first one to use hydraulic cranes. After the Second World War, it experienced severe damage and it was quickly falling into a state of disrepair. By 1980s, a massive regeneration was undergone for these docking warehouses and was reopened in 1984. Today, it is a popular tourist attraction in the city. While the Albert Dock is located south of the Pier Head, this one is located on the north. It represents a huge portion of the Liverpool docking heartland. This site comprises several docking sites namely the Clarence Graving Dock, Stanley Dock, Salisbury Dock, and the Collingwood Dock. It also includes part of the Leeds Liverpool Canal, along with other smaller features like capstans, bridges, and bollards. There are two docks included in this area that are considered to be some of the oldest docks that remain in use until today. Aside from the docks themselves, the Stanley Dock Tobacco Warehouse and Victoria Clock Tower are two brick buildings that also belong within this UNESCO protected site. This part of the UNESCO site Liverpool – Maritime Mercantile City is composed of two warehouses on College Lane and Bluecoat Chambers. By the time that Liverpool was emerging as a major port, this was one of those first areas in the city to experience rapid development. Meanwhile, the Bluecoat Chambers is one of the oldest buildings in Liverpool to have survived until today (it was built in 1715). The proximity of the conservation area to the Old Dock was also crucial to its wealth and success. Since it was close to the dock, it became the first choice of location for those looking to build residential properties and warehouses. In fact, this part of Liverpool became known as a metropolitan area at one point in history. This area of the UNESCO site is considered to be the medieval part of Liverpool. The Castle Street is the most notable feature wherein you will find the Town Hall, Trials Hotel, and is linked with the Old Hall Street. This area of the city is currently known for its commercial activity. It was included in the UNESCO listing for Liverpool – Maritime Mercantile City as it has shown a unique street development over a period of 3 centuries. This is the final component of the UNESCO site in Liverpool. The focal point of this quarter is the William Brown Street. This is where many of Liverpool’s civic buildings are located in. Among those buildings that were recognized into the UNESCO listing are as follows: Great North Western Hotel, Queensway Tunnel, Walker Art Gallery, World Museum Liverpool, and the St. George’s Hall. Nice building looking very peaceful area in busy life.